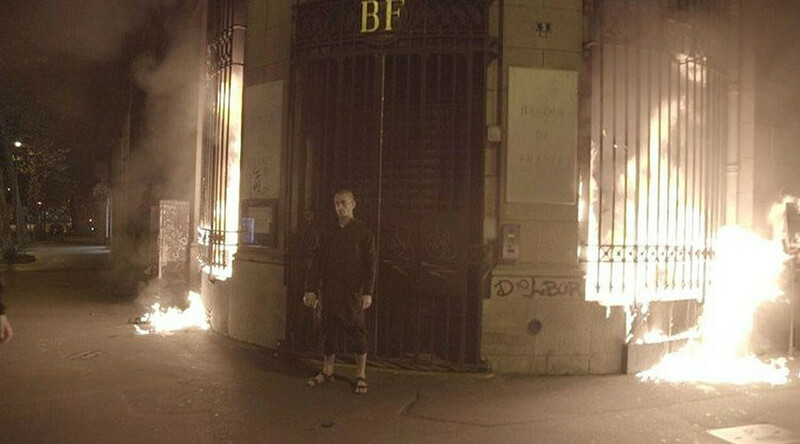 Pictures showing Pavlensky in front of the Bank of France door in the Place de la Bastille with flames raging in the barred windows appeared on social media on Monday. Police arrested the radical artist at 4:10am, according to photographer Capucine Henry, who shared a photo on her Twitter feed. The ‘performance’ caused the bank to shut down on Monday, according to a note attached to the door. “The bankers have taken the place of the monarchs,” another quote reads. “Igniting the Bank of France shows the truth the authorities forced us to forget. The Bastille was destroyed by rebels as a symbol of despotism and power. There, they built another hotbed of slavery, which betrays the revolutionists and sponsors a bandit Versailles. The Bank of France took over the Bastille, bankers became monarchs,” Pavlensky reportedly said in a statement, posted by Femen activist Inna Shevchenko. 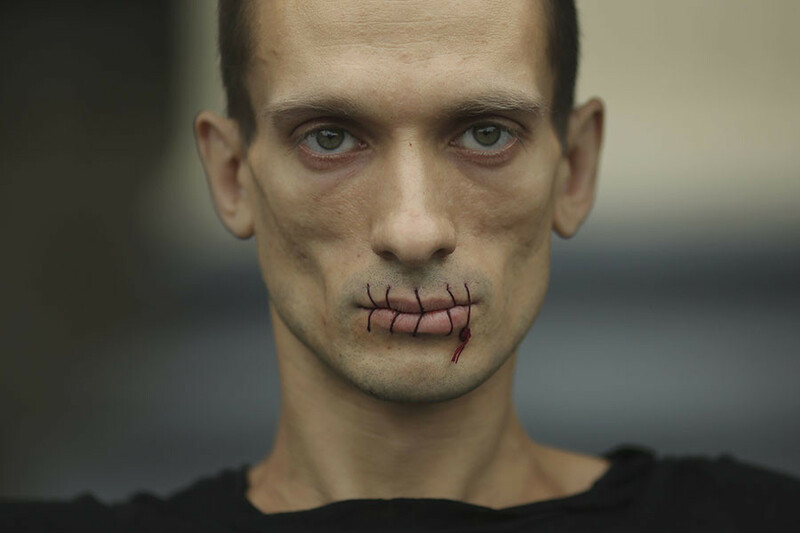 Pavlensky received political asylum in France earlier this year after he fled Russia with his partner and their children following sexual assault allegations. In an interview with Russian TV channel Rain, Pavlensky said that his family lives “like true French: we do not work and we do not pay.” He said that he “seized” the house in Paris he lives in and resorts to “taking food” from the shops. “The security here is not very attentive,” the artist said. Setting things on fire is not something new for Pyotr Pavlensky, who set fire to the doors of the Russian Federal Security Service (FSB) headquarters in Moscow. The protest-performance cost the man seven months in jail and a fine of $7,800. The 33-year-old also made quite a few headlines when he cut off one of his earlobes while sitting naked on the roof of the Serbsky Center psychiatric hospital in Moscow in protest against Russian forensic psychiatry. The ‘performance’ which earned Pavlensky fame, however, was when he nailed his scrotum to a cobblestone near the walls of the Kremlin in Red Square.